India’s energy needs are growing with the growing population and it needs to look at ways to procure energy other than the conventional needs. Although blessed with abundant natural resources it is still not utilized to the fullest extent. One of the freely abundant resources available is Solar Energy which everyone has access to. The amount of energy that can be produced using solar energy is twice as much as all other renewable energy sources. It reduces energy costs and also helps in reducing carbon footprint to a significant level. Hence it makes sense to fully leverage Solar energy to cater to energy needs of humanity. Solar energy can be leveraged using either the Active Solar system or the passive solar system. A passive solar systems involves using traditional devices like windows and other daylighting device to capture sunlight and use it for heat or lighting purpose. An Active Solar system involves using mechanisms like the Solar PV systems or Solar thermal systems which actively capture sunlight to create heat and generate electricity. In this article let’s look Solar Water heating system that is affordable and an effective form of clean, renewable energy that can be taken advantage of by every building owner for their heating needs. 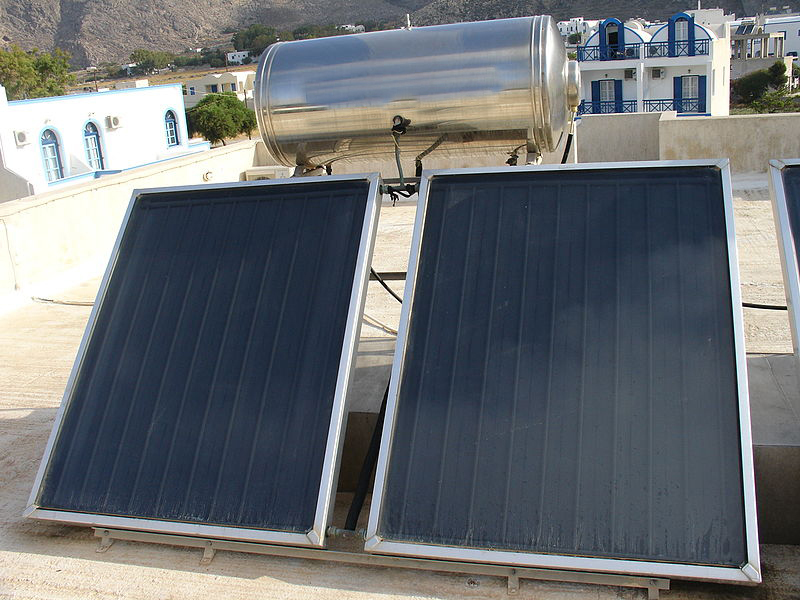 The basic mechanism of the Solar Water heating system is to capture sunlight and retain the the heat of the sunlight and transfer it to a liquid. This is an old and established technology. A flat collector system consists of the outer glazing material which is a toughened glass that captures sunlight and refracts the heat on to the inner absorber plate, a sheet of copper. The absorber plates are connected to the copper pipes that contain the heating fluid.The absorber plate is provided with sufficient insulation to capture heat. These systems do not use any pumps and work in a natural manner. They use the Thermosyphon mechanism where water rises from the collector as it warms up and cooler water sinks. 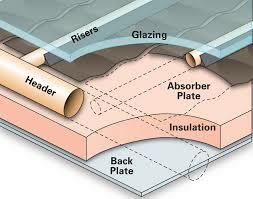 Hence the collector is installed below the water tank so that hot water rises from the collector. This cycle repeats as long as the sun shines, resulting in all the water getting heated for distribution through pipes to the required usage point. Improved Energy efficiency – Installing Flat Solar Collector system can reduce energy consumption by as much as 30%-50% which can mean significant savings in the long run. Purchasing and installing a Flat Collector system is a lot cheaper compared to other kinds of Solar Water heating systems. 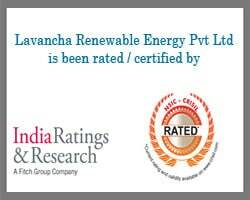 We at Lavancha provide high quality Flat plate collector solar water heater. For any of your requirements or queries related to the products, please get in touch with us. We would be happy to help you.